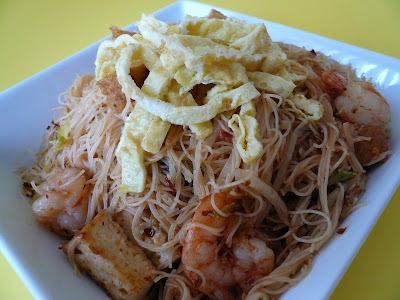 Delimas Crispy Prawn Chili is the best when frying beehoon, kan..? Cat, the Crispy Prawns Chilli is the best. You pun suka? I just put in it everything especially with nasi goreng and beehoon goreng jugak. Yum! One of my all time favourite meals. I thought the CPC is supposed to be a condiment. Didn't know it should be fried with the beehoon. No wonder my FBH is always so-so only. Good to know! I saw you at Aiyah Nyonya blog , I myself also love cooking and eatting, but I am not so gud in cooking malaysian food , only in ang moo way hahah. Pearly, thanks for dropping by. I too will normally cook the ang moh way for hubby but for me and my niece we still need have our Malaysian food from time to time. 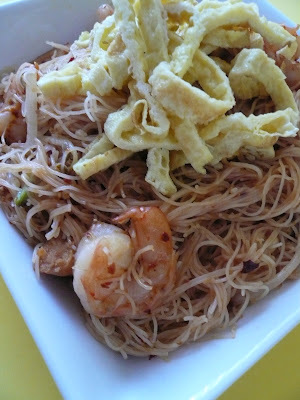 The easist way to cook same goes when I have guess at home, fried mee hoon is the most senang one. Where was the curry chicken? Curry chicken and Bee-Hoon...YUMMY! hehehe..I think that's what we (Msians) typically do during house parties in Msia right? Sue, I too like fried beehoon for any ocassion. Gert, thanks for the idea on using crispy prawn chilli. I ada lagi satu botol. Tersorok di belakang dalam fridge. Patut la your mee merah. 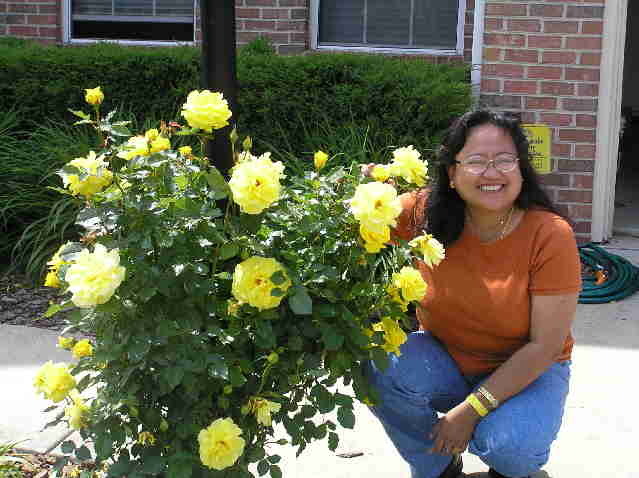 Cantik! I love your garnish too. Telur dadar kan? Ya Zue, tu telur dadar. You should try using the crispy chilli prawns. Sedap with beehoon and nasi goreng.